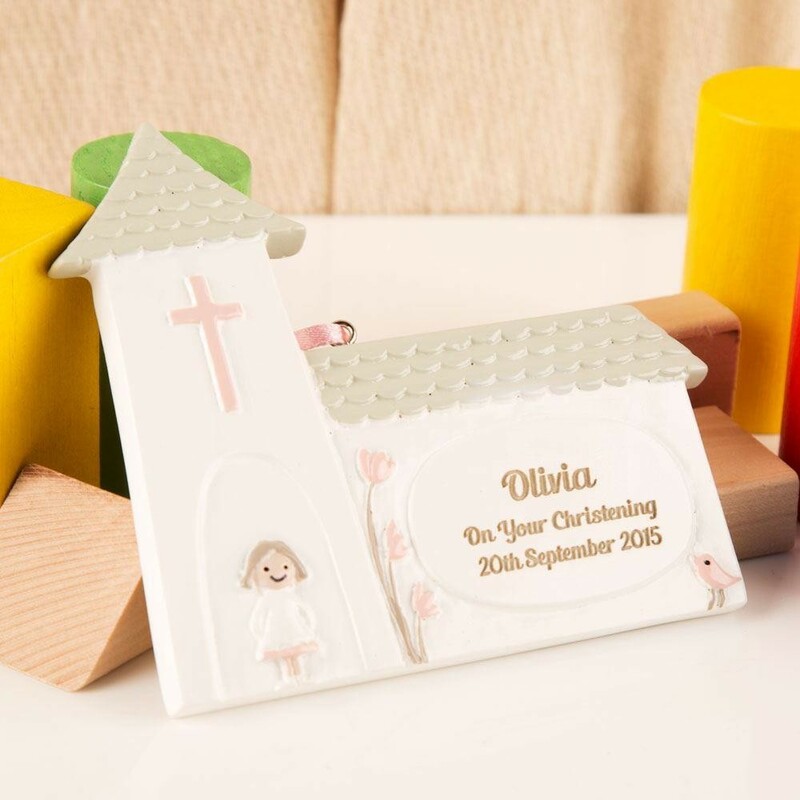 This adorable church ornament with pink details will make a wonderful gift for a baby girl's Christening. It is laser engraved with her first name, 'On Your Christening' text, and the special date. The church features cute pink details, and the engraving is framed with flowers and a little bird. Pink ribbon compliments the decoration, and makes it easy to hang up in a baby's nursery. It will make a wonderful keepsake that she will treasure for years to come. A perfect God Daughter gift!